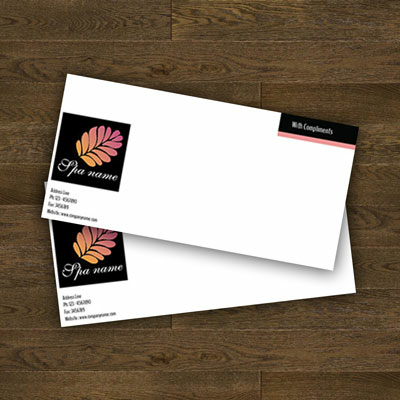 Compliment slips allow you to reach out to your clients and customers after an interaction with a handwritten note on a slip of paper that has your business contact information and the phrase, “With our compliments,” or “With my compliments,” as appropriate. This simple gesture, reminiscent of a bygone age, reminds your clientele that, while you may be living in a digital and high-tech world, you haven't forgotten the importance of a personal touch. Don't let an opportunity to communicate with clients go by without taking full advantage. Using personalized compliment slips allow you to reinforce your brand while reminding them that you value the opportunity to interact with them in person. A handwritten note, on professional stationery, is the perfect blend of professionalism and personality. Send thank you notes, apologies, delivery notes, payment thanks, etc., with professional flair. Saver 6 Business DaysExpress 3 Business DaysExpress Plus 2 working days.